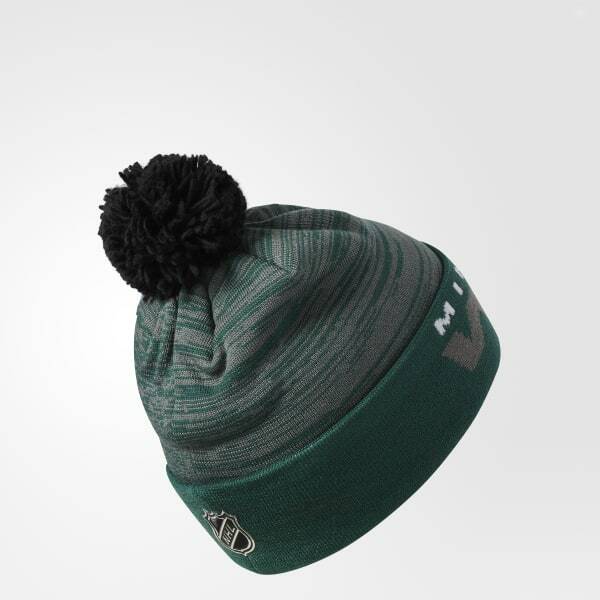 A cool weather cap for fans of the Minnesota Wild. Get a little Wild all winter long in this men's knit hockey cap. With an embroidered logo and wraparound team name on the fold-up cuff, it shows your support for the team from St. Paul. Made of soft acrylic for a comfortable, head-hugging fit, the cap is finished with a team-colour pompom on top.